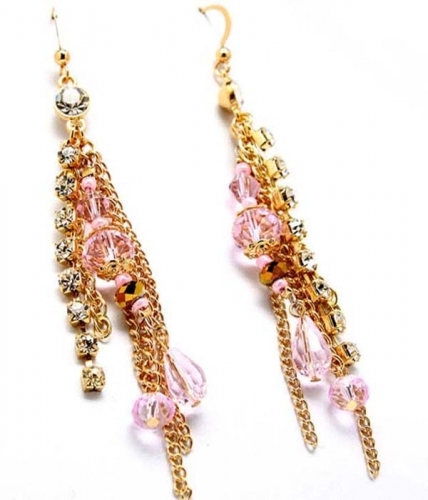 The combination of rich gold metal and tender pink crystals makes Betty earrings the number one choice among romantic girls and women. The piece features long chains with rows of clear crystal studs and transparent beads. Oz Bling makes it fun and easy to buy jewellery online so go ahead spoil yourself!